All his films have been incredibly realistic throughout and the actors showcased in his films get wide popularity. He has been busy with multiple films in his career as a director and also as a producer. He penned the scripts of some of the movies. Anurag Kashyap is the one who introduced Nawazudddin Siddiqui to mainstream cinema, and he ended up as a terrific actor. Nawazuddin is now one of the highest paid character actors, and he has been giving tough competition for Manoj Bajpayee and Irrfan Khan. He has been using his theater experience in the movies and Nawazuddin has been taking special care on the scripts he is selecting. After receiving a lot of critical acclaim for his performance, he teamed up with his mentor Anurag Kashyap for the film Raman Raghav 2.0 which is said to be a thriller. The movie has been based on the life story of the notorious serial killer RamanRaghav, who operated in Mumbai and created a huge sensation during the 1960s. Nawazuddin essayed the role of Raman in the movie who is a psychopathic and a serial killer. 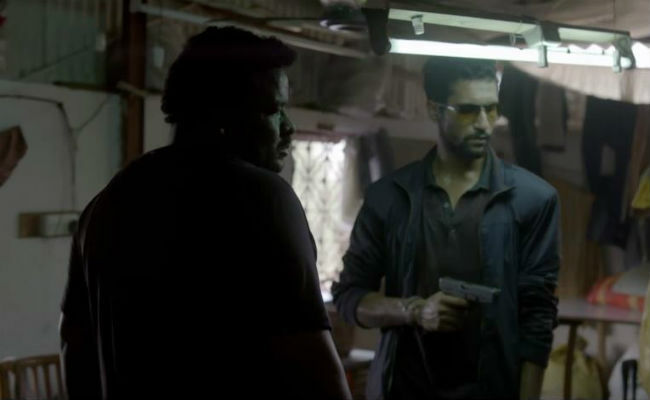 However Vicky Kaushal played the role of a cop who has been assigned to investigate the serial murders happening in the city. The movie completed shoot early this year and the makers wanted a comfortable release due to which the movie has been pushed to June. RR2.0 released across the world on June 24th and the movie received poor response from the audience. The trailer created a huge buzz all over and is said to have some explosive thrilling episodes. The movie has been made on a budget of Rs 5 crores and is shot with dark lighting throughout. The movie opened with Rs 1.10 crore on its release day and the movie did not witness any growth over the weekend. The film collected Rs 3.98 crores in its first weekend which has been decent. The collections dropped down further during the weekdays, and the movie made Rs 5.42 crores in six days of its box-office run across the country which has been poor. Anurag Kashyap, Vikas Bahl, Vikramaditya Motwane and Madhu Manthena produced Raman Raghav 2.0 on Phantom Films banner. Reliance Entertainments released the movie.